Chapman Auto Repair, located in Orange, CA perform full auto repair and factory maintenance for their clients from Orange, CA, Tustin, Santa Ana, Villa Park and all other Orange County cities. Chapman Auto Repair owner/operator Ken, is an ASE Master Technician and his partner, John have over 20 years of experience in the automotive industry. Together with their team of ASE Master Technicians, they will provide your auto, truck, SUV or van with all the proper maintenance and repair service that you need. 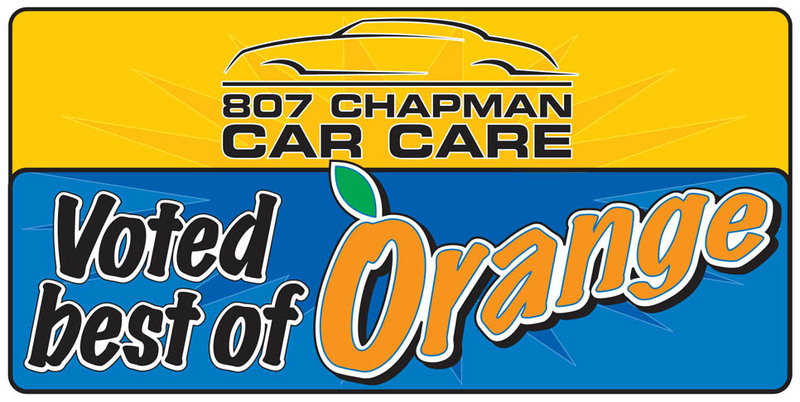 Take advantage of one or all of the services that are provided by Chapman Car Care. If your vehicle has an electrical problem, check engine light issue or any other drivability concern, you can be assured that it will be diagnosed properly the first time. Give us a call today! Why go to Chapman Auto Repair when there are so many other auto repair shops to choose from in Orange? For starters, one of their most important benefits it that they offer a nationwide extended 3 year, 36,000 mile warranty with every auto repair and service, even factory recommended dealer maintenance. Also included is a free hand car wash with every auto repair or service, and free shuttle service in their stylish, super clean Hummer which has a DVD player for you or your kids. They also offer free loaner cars for your convenience and 24 hour drop/off pick up service. And if your vehicle ever breaks down, Chapman Auto Repair offers free towing to their shop within 10 miles. So if you live or work in the cities of Orange, Villa Park, Tustin, Santa Ana, Anaheim, Garden Grove or any other Orange County city, give us a call.